Mole wallpapers for your PC, Android Device, Iphone or Tablet PC. If you want to download Mole High Quality wallpapers for your desktop, please download this wallpapers above and click «set as desktop background». You can share this wallpaper in social networks, we will be very grateful to you. 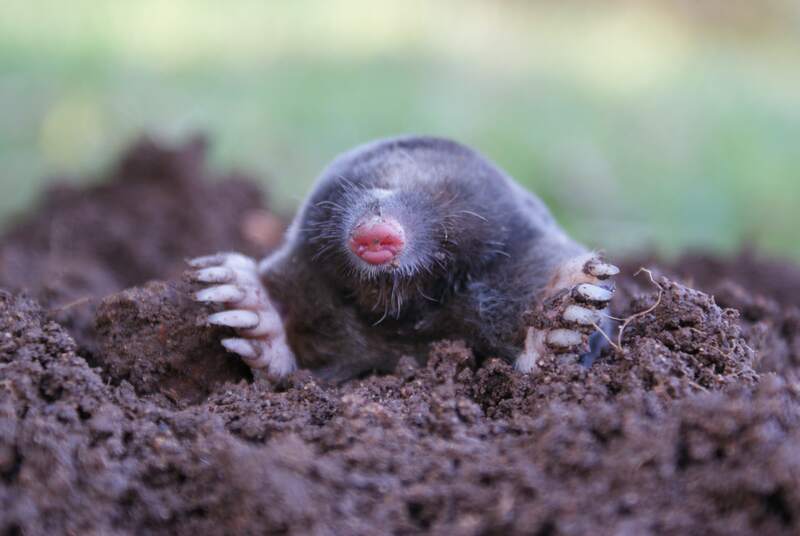 Mole – animal known to everyone else with the children’s fairy tales, where it is always portrayed thrifty and economical master. They live in the woods, meadow and riparian lowlands vast expanses of Eurasia and North America. These large areas are mastered these animals due to their mostly subterranean existence where they are hiding from enemies and adverse external conditions. 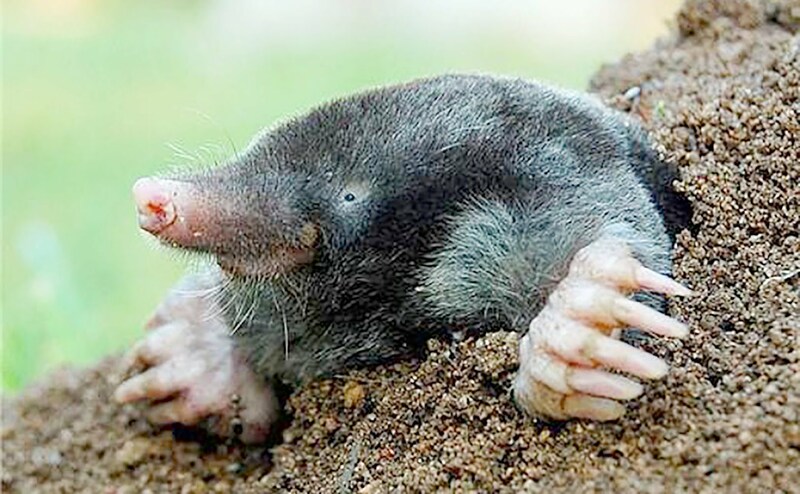 Among all mammals moles are well adapted to underground suschestvovaniyu.Ovalnoe mole dense body, thick neck and elongated in the form of stigma front part of the head allow the animal to easily overcome the underground labyrinths. 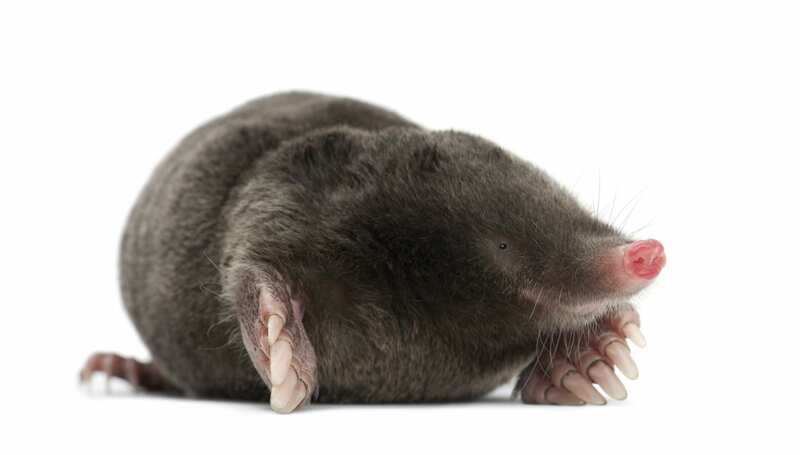 All moles are blind, because their bodies are of small holes, covered with hair. For some species like the eye holes are completely closed. 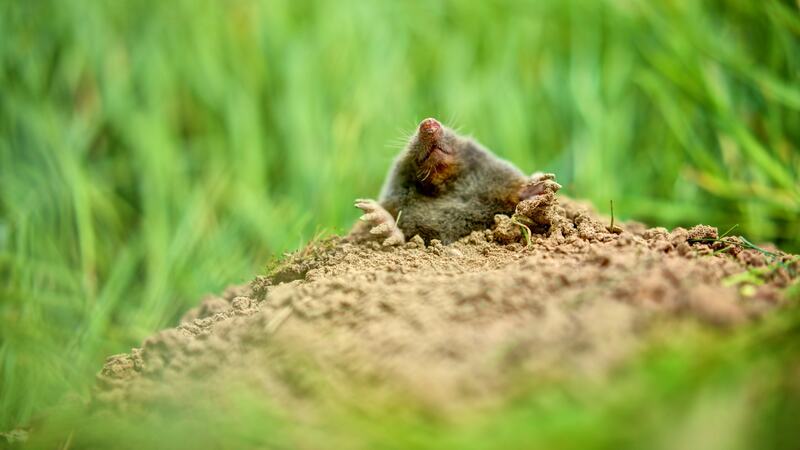 Lack of normal vision at a mole underground explained his way of life. 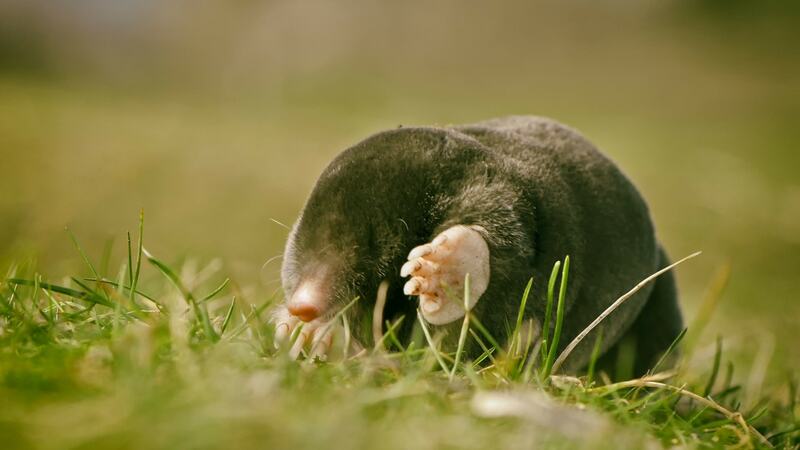 What you can see in total darkness, and why, if the mole is great to hear? 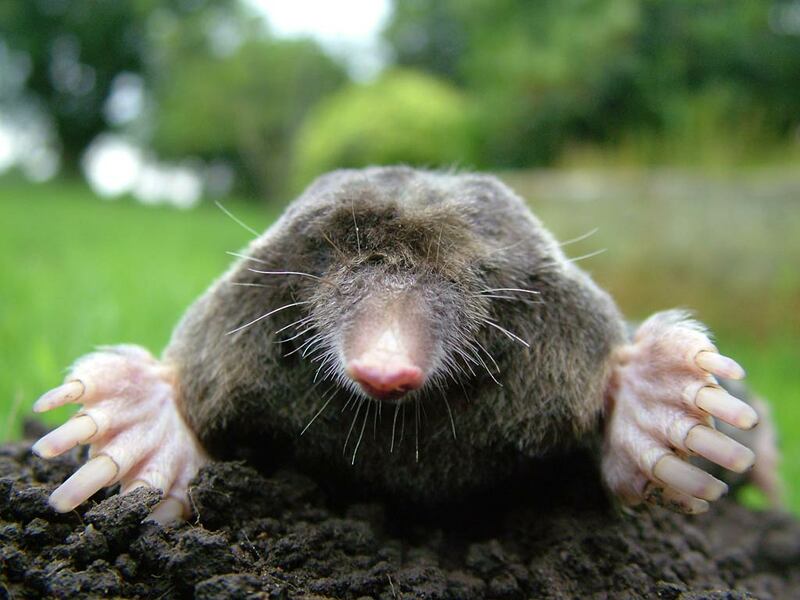 Unlike most mammals, the mole is not the ears that underground would complicate his life. 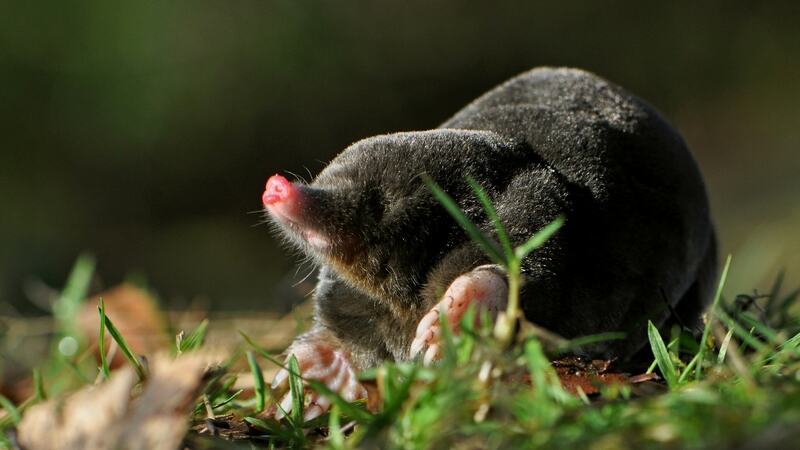 The organs of hearing presented ear holes, veiled by skin folds, protecting hearing passages from the ground hit the mole. 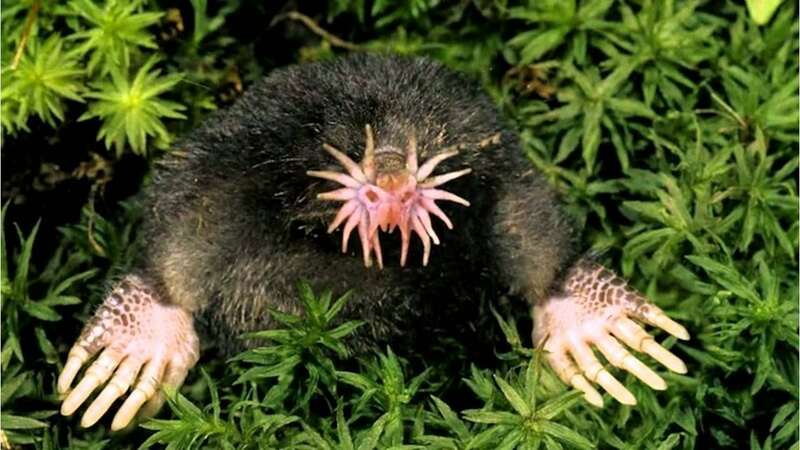 Right-growing hairs the coat mole are free to go to any direction in the course of promoting animal under the ground, without creating obstacles to it. 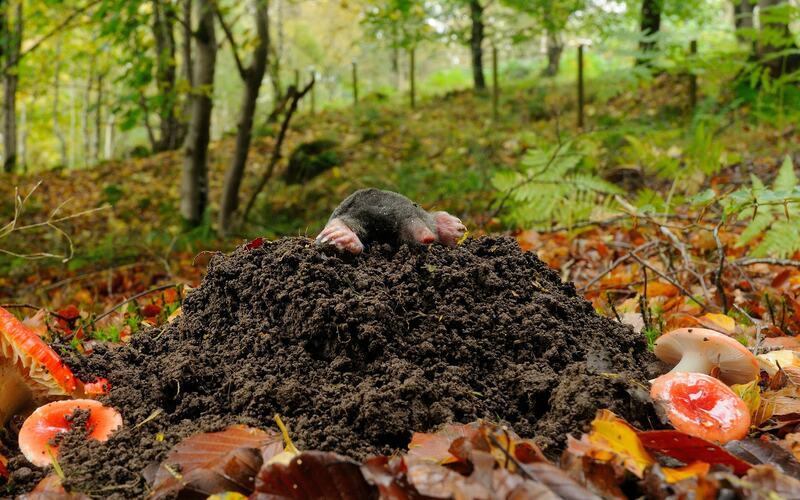 All life proceeds in constant mole digging burrows. Therefore, his front paws resemble in shape a shovel, and contribute to the well-developed fingers raking dug earth. 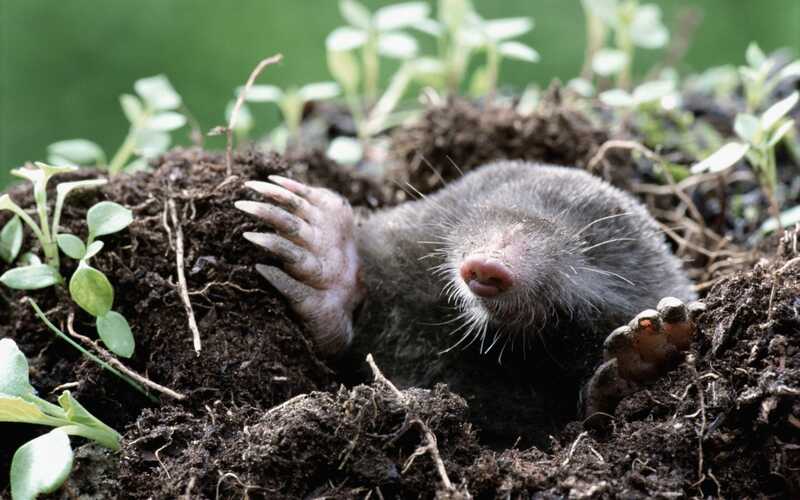 Moles and choose for themselves just the territory to stay, where the soft pliable soil in which it is easy to dig tunnels and tunnels. 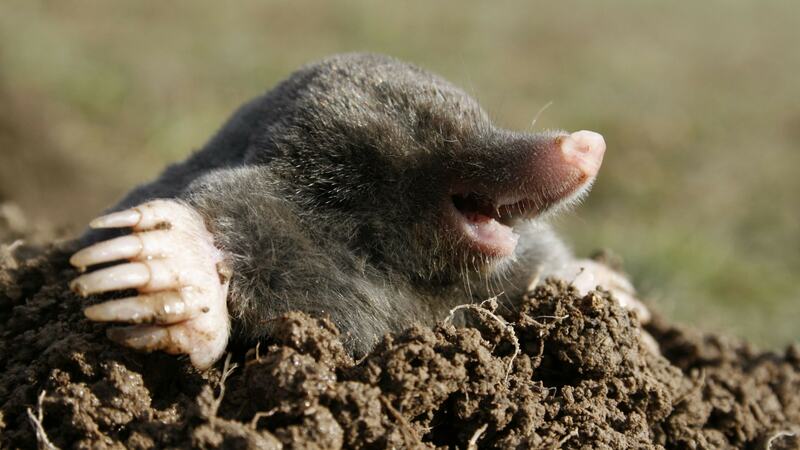 Dig the ground mole, not for boredom, and extracting their livelihood. 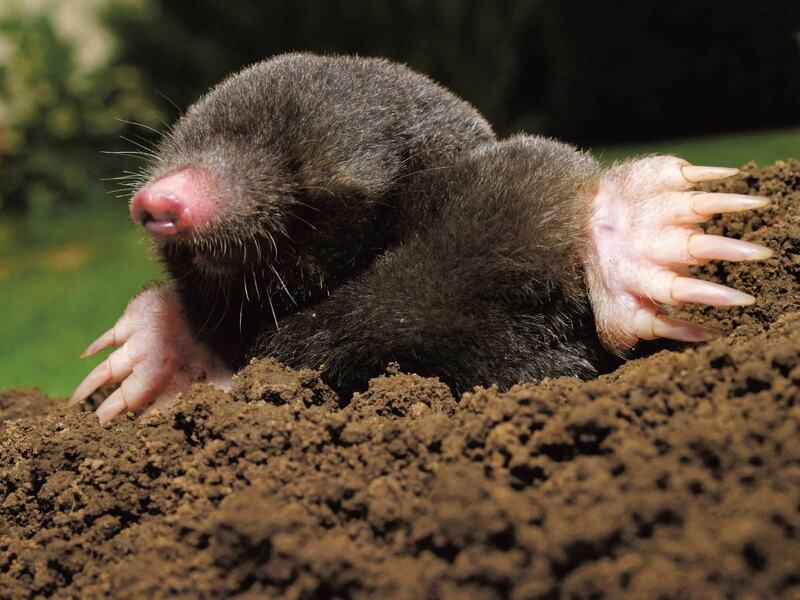 Places where settled mole, easily identified by the fresh mounds of loose earth, which is the mole pushes to the surface, freeing themselves to underground passages that he is building at a depth of five to twenty centimeters. Ongoing work excavator requires a lot of energy. 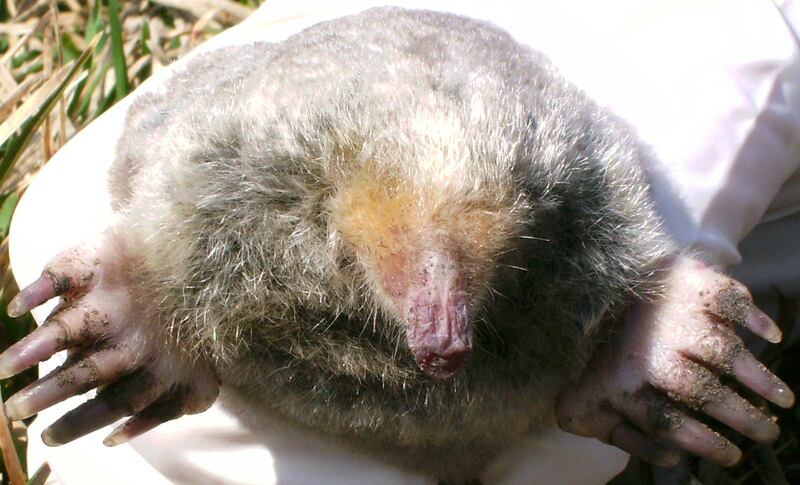 Therefore, the moles are very voracious and can live only 12 hours without eating. 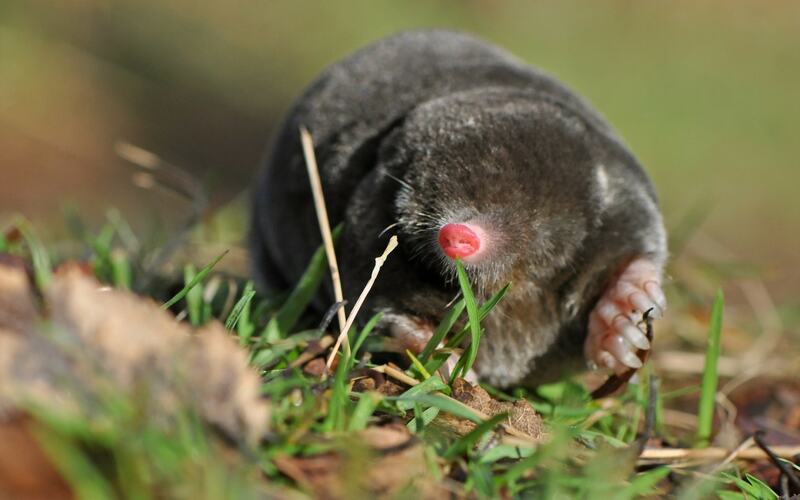 Contrary to popular belief gardeners, the mole does not eat vegetation, and prefer earthworms. He loves to regale them, which makes worms winter stocks. And to treat not escaped, bat bites worms head. The headless as worms become paralyzed, but still alive, allowing the mole to eat them in “fresh” form during the long winter. Do not refuse to moles of insects and their larvae. They can dine and mouse and a shrew. 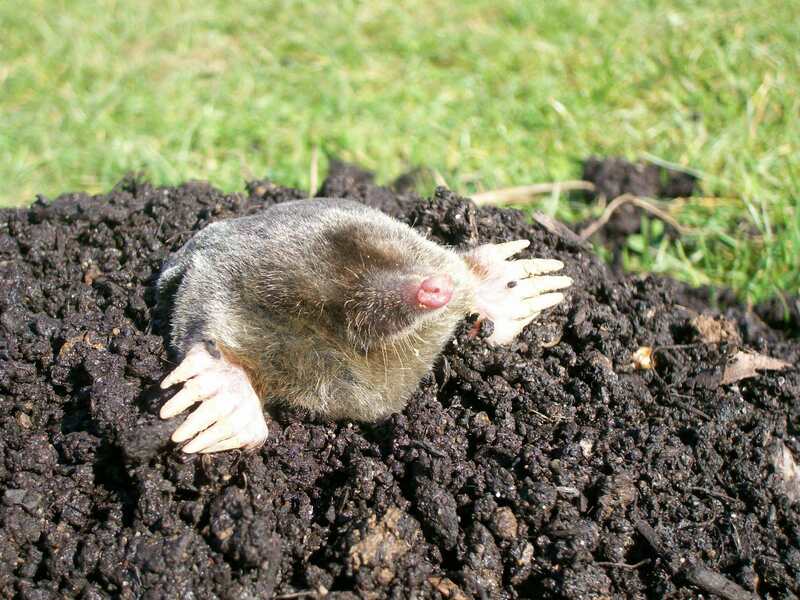 Catching digging tunnels, the mole violates the roots of plants, leading to their death. During that gardeners I do not favor an underground worker, but in vain. 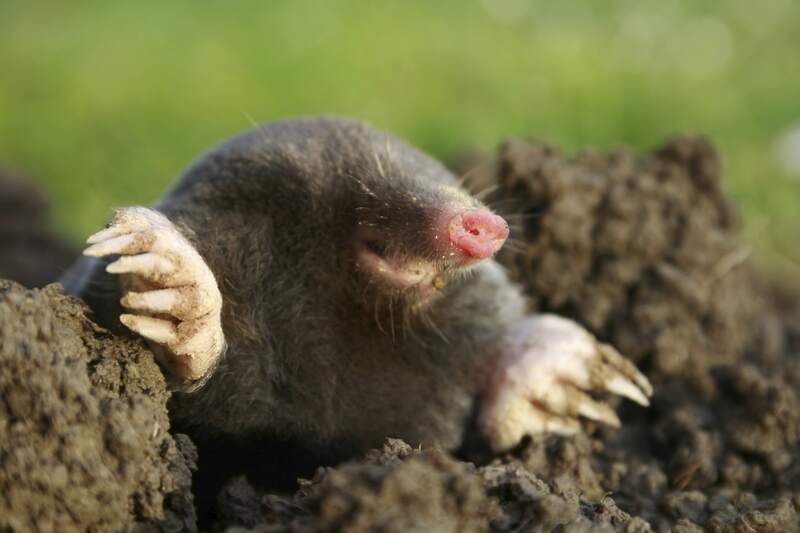 After working hard in the garden, the mole eats insects and their larvae, loosens the soil, enriching it with oxygen, which ultimately is beneficial to the future harvest. 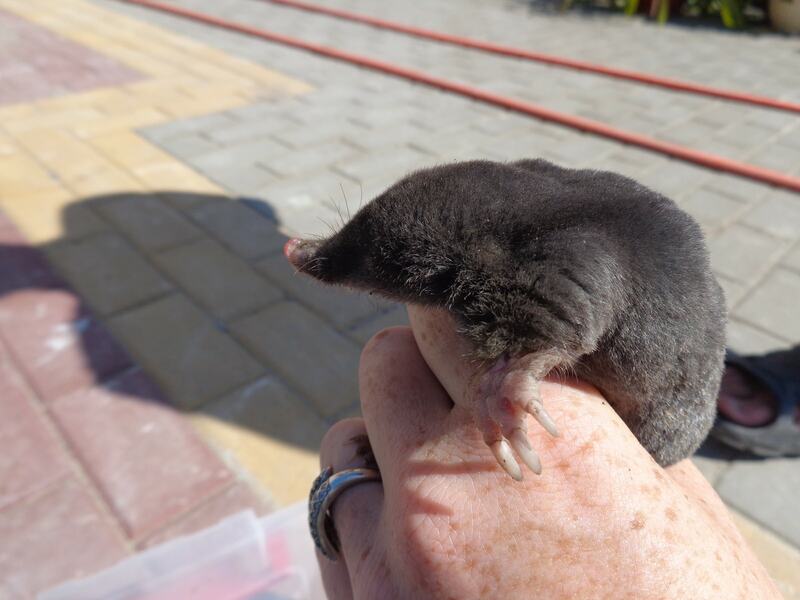 Warm and a good coat mole attracts the attention of people, and many of these animals is mined for their valuable fur. 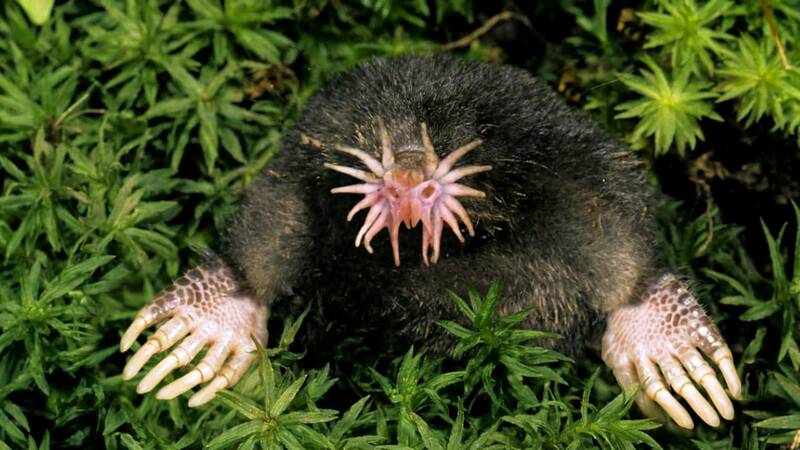 Besides hunting for fur, in moles have enemies among predators. Fox, destroying moles, digging up their burrows, and weasels prey on these animals and eat them in large quantities.